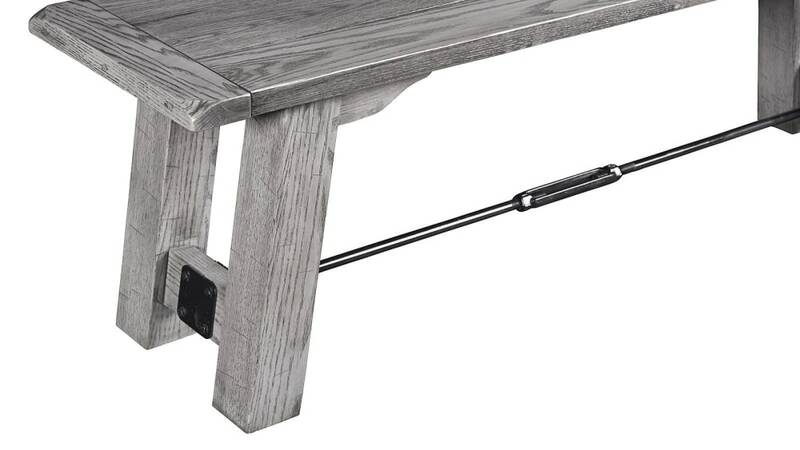 This stunning oak bench, Made in America by American workers, will add a charming rustic quality to your home and turn mealtimes into a unique experience for friends and family. 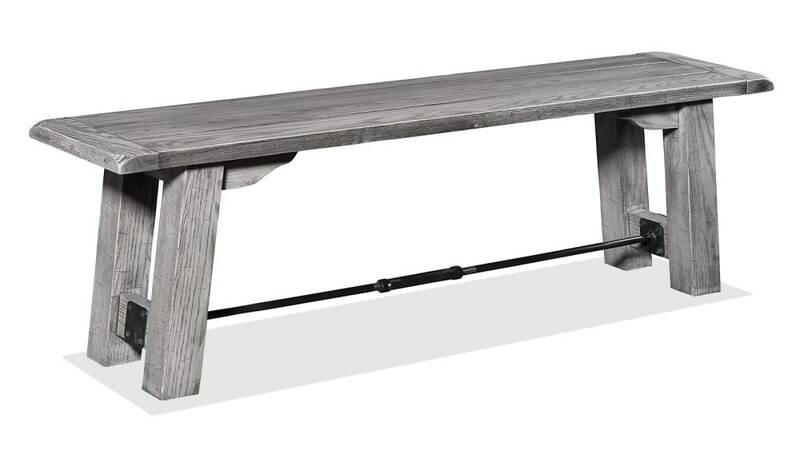 With Gallery Furniture's famous, same-day delivery, you can start enjoying this excellent bench in your home TODAY! 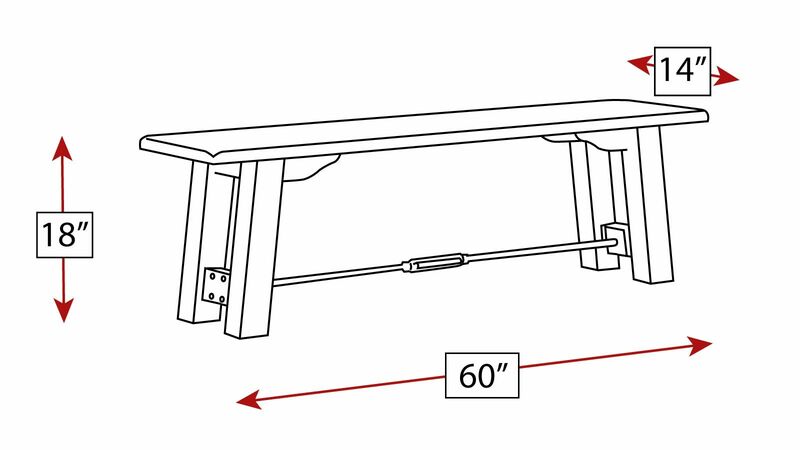 Thanks to the highest-quality construction and materials this bench will provide enjoyment and memories that linger for your children and their children. 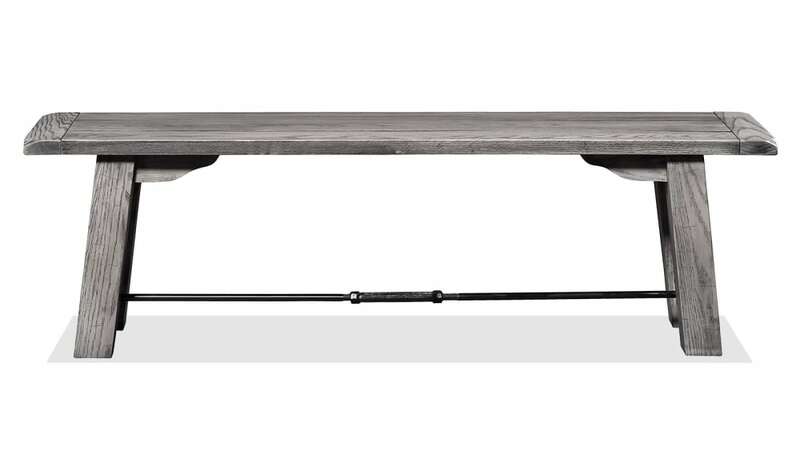 Built from solid oak, this bench's wood was sustainably harvested from responsibly managed, American forests. 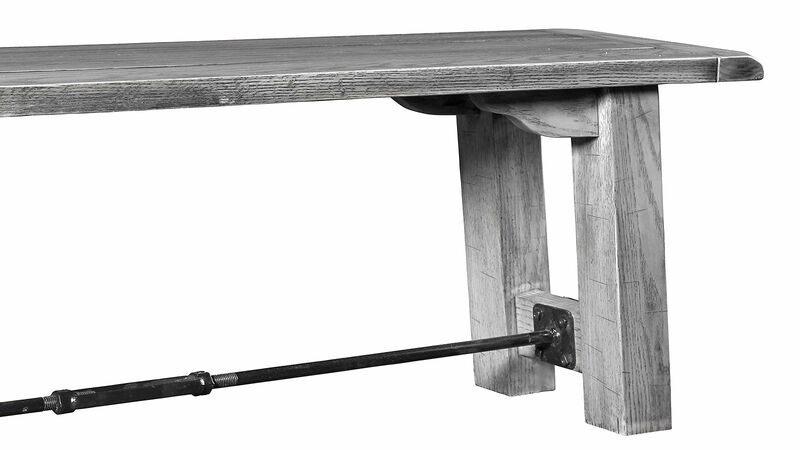 Finished with a grey, hand-rubbed stain, the beauty and unique character of the wood is allowed to shine. A pre-catalyzed finish will protect the beauty of this heirloom-quality bench for generations to come.